Pain doesn’t just come when you’re home in your PJ’s. Get convenient pain relief without grease so you can go about your day and night sporting your favorite work and play clothes. store at 20º and 25ºC (68º and 77ºF). Love and use product alot. Local store had a great sale but neither the manager, pharmacist or I could find it because of new box. Please change the color to match tube color. I love your product but really, REALLY HATE your new ugly BLACK label!! I almost didn’t recognize the product on the shelf at Walmart today. P.
I love your product but really REALLY HATE the new, UGLY BLACK LAVEL on the box!! 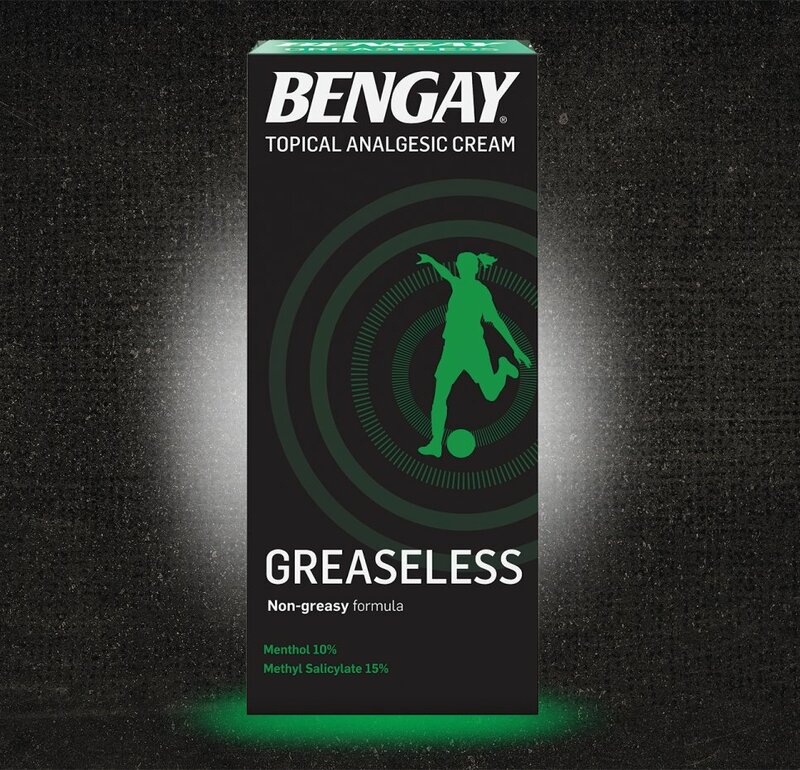 Please change the colors on the box back, to match the colors on the tube of BENGAY. Thank you. Love this original rub it's hard to find in my area. The other rubs are to strong and burns my skin a little. Good product, great for bedtime as it is greaseless. Helps with morning pain if you tend to sleep in one position. The Product is very good.I would recommend this product.It is showing nice results.